HOUSTON--(BUSINESS WIRE)--Port Houston has named John Moseley Chief Commercial Officer, succeeding Ricky Kunz who has elected to retire from the Port of Houston Authority. Moseley served as senior director of trade development since 2010. In his new role, Moseley will take the lead in developing and executing Port Houston’s commercial strategy. Port Houston, a terminal operator, is the fastest growing of the Top 10 container ports in the U.S. and is the largest in breakbulk, steel and project cargo. The greater Port of Houston is the largest port in the U.S. in foreign waterborne tonnage. In the announcement to Port Houston staff, Chief Operations Officer Tom Heidt noted that Moseley has been a force in driving the port’s trade development efforts, helping to lead in the successful design of and implementation of new growth strategies that have delivered measurable revenue and cargo throughput. Moseley started his career in international supply chain and logistics in 1987 and has held expanding roles in the U.S. and overseas with international freight forwarders, customs house brokers, beneficial cargo owners and ocean carriers Mitsui OSK Lines, COSCO Container Lines and CMA CGM. Moseley holds a bachelor’s degree in international business administration from California State University at Los Angeles and an MBA from the University of Massachusetts at Amherst, Isenberg School of Management. 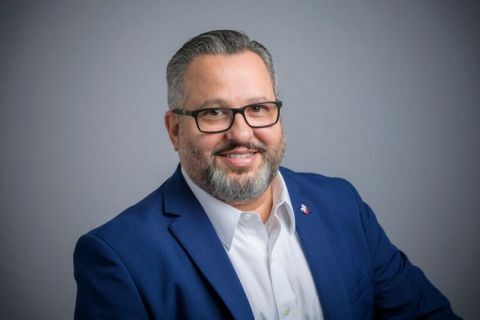 In his position as CCO, he is responsible for Port Houston’s real estate, trade development, economic development, marketing/external communications and media relations departments and the administration of Harris County’s Foreign Trade Zone. Moseley actively serves in leadership positions of the Retail Industry Leaders Association (RILA), American Institute for International Steel (AIIS) and the Greater Houston Partnership (GHP). He is a member of the Society of Industrial and Office Realtors (SIOR), NAIOP – Commercial Real Estate Development Association and the Industrial Asset Management Council (IAMC). Port Houston names Chief Commercial Officer, Moseley will take the lead in developing and executing Port Houston’s commercial strategy.